It was an EXHAUSTING, HOT, WINDY & LONG race day as Braden did double duty competing in both the Arkansas RRCA Grand Prix Go! Mile race and the Arkansas Association Junior Olympic Outdoor Track and Field Championships!!! It was basically a wonderful start to the day with the Go! Mile. The Go! Mile had six heats and we ran the first one due to the fact that we had to finish early so we could get him to the track at UALR later that morning. Our heat, the First Mile, started at 7 a.m. and temperatures were in the low 70's with hardly any wind...great conditions! There is not much of a synopsis, since it was a one mile race, but it was a double edged sword running in the first heat. The good thing about it was that we ran in great conditions, but the bad thing was that just because he may have finished first in his age group in the heat, we would have to wait until later on to find out if his time would hold out since others in his age group were running in later heats. We started out the race great and by the halfway mark, our time was around 3:35. We did hit an area with a little bit of an elevation gain, but Braden brought it home to finish at 7:30.44. It was great because it was the fastest he had ran in a mile, but I just didn't know if it would be enough to win his age group because I knew there were some older kids yet to run. I always feel real good about Braden's chances against kids older than him in the 5K to 10K distances, but on shorter distances, older kids have more of an advantage. We couldn't wait around to see how he finished or for the awards ceremony since we had to leave early. A few hours later, I was able get news on the results. Braden came in second overall, losing to a nine-year-old by only 3.5 seconds, but incredibly, he beat the third place boy by .13 seconds, showing just how close it was between the top three! Even though he didn't come in first place at the race, he did finish first among the Grand Prix runners who participated and collected the full 30 points since it was a championship race. Now, our next road race will be the Yorktown 8K run on July 4, in Yorktown, Virginia, which will be Braden's first out of state race and I'm sure it will be hot and humid for that one! 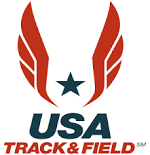 Now for the second half of this blog entry...a quick clothing switch and onward to the Arkansas Association Junior Olympic Championships at the UALR track. Braden has been training the last few months with the Arkansas Performance Running Club Patriots particularly in the 800M and 1500M disciplines and had been doing really well during his practices. For this meet I signed him up for the 400, 800, and 1500M events and after running the mile run earlier, I knew it would be a challenge for him. After leaving the Go! Mile we arrived at the track at 8:30. Unfortunately, the temperatures started to rise and the winds picked up as well. By the time Braden's first race, the 1500M, started he had been out in the heat for around three hours. I told him to keep hydrated, but I had to get on him a couple of times because he was out watching the races instead of relaxing in the shade under a tent. When his race finally started, he was paired up with some older age groups since he was the only one in his age group running in the event. This was done so the events could move quickly and the athletes wouldn't have to run by themselves and be in the heat all day long. Braden couldn't keep up with the older runners and was, for all purposes, running by himself. The heat index, which was around 106 degrees, and 12 mph winds took a toll on him and he finished with a time of 7:08.27. His training times have been in the 6:50's, so the conditions really affected his time. Unfortunately, Braden was exhausted and his next event, the 400M run started about 20 minutes after his 1500M had ended. The 400M is more of a sprint race, which is not his specialty, but I thought he would do well based on his times in practice and I figured there would be a lot of time for him to recover after the 1500. I learned a valuable lesson that for future meets to exclude the 400 because it was such a rapid turn around. From the start, Braden was running behind, and even though at the end, he was gaining on the second place runner, he just didn't have enough in the tank to overtake him. He came in third place and finished with a time of 1:36.07, which was about 6 seconds slower than his times in practice. Luckily, there was a 1 1/2 hour break from the 400 to his last event, the 800M run. He tried to relax and rest as much as he could, but I saw that he was one whipped kid! He felt like he would do better because of the break in action and he started the race pretty well, but he fell apart on the last lap and finished in second place with a time of 3:39.95, which was about 9 seconds slower than his previous best. Overall, even though he didn't beat his practice times, I thought he ran great obtaining a gold, silver, and bronze medal for his accomplishments! I figured if he hadn't run the Go! Mile earlier in the morning and also the 400M race, his times would've been better in the 800 and 1500M events. An added bonus to everything is that he qualified in all the events for the Region 9 Championships in Tulsa in mid-July...even though I'll only sign him up for the 800 and 1500M runs. In Tulsa, he'll compete against the top runners from Oklahoma, Kansas, and Missouri. I wondered why I didn't see you both at the race on Saturday; now I know! I hate that I missed you, but please give my congratulations to Braden!! Woo hoo! What an exciting day! I arrived to the Go! Mile a little later than I'd intended, so y'all were probably gone by the time I got there; my heat did not run until 8:10am, so I think I was probably warming up at around 7:30-ish. Great job to you both on Saturday and I look forward to seeing you again soon! Good luck next month! Congrats on your time! That was quite a bit you shaved off from last year! I love reading your blogs because it gives a different perspective on some of the same races we run. It's funny how a slight elevation can turn into "the hill", but it is noticeable on a short race that one is hoping to be flat. We won't be at the White River 4 Miler since Braden will be in Minnesota, but hopefully we can catch up at either the Watermelon 5K or ARK 5K Classic.